Bell’s 24 Hour Lock & Key is Virginia Beach’s one-stop locksmith for lock and safe sales, installation, and repair. We are a fully qualified, expert locksmith company with several years experience in the field. Our areas of expertise include a wide range of residential, commercial, automotive security applications, all of which we proudly provide both emergency and post-installation services, 24-hours a day. If you’re a resident of the Virginia Beach, VA or are in the area and in seeking a professional locksmith, Bell’s 24 Hour Lock & Key has the solutions and proven skills to meet all your security needs. Bells 24 Hour Lock & Key also services: Chesapeake, Portsmouth, Suffolk, Virginia Beach, Norfolk. We provide automotive locksmith service, commercial locksmith service, and residential locksmith service to South East Virginia. Bell’s decades of experience in the residential locksmithing allows us to thoroughly assess your home security requirements, whether door locks, home safes, or simple key services. We are Virginia Beach’s most qualified deadbolt and high security lock installers, and sell the best brands in the business to protect your home and family. Our deadbolts and high security locks are specifically manufactured to prevent lock-picking and key duplication by would-be intruders, which is our goal from the moment you call us. We also are experts in the field of home safes. When your personal property requires the added protection of an impregnable safe, Bell’s 24 Hour Lock & Key sells and installs state-of-the-art fire safes and in-stock gun safes, jewelry safes, and fire safes suited to your specific security needs. Our services don’t end there. 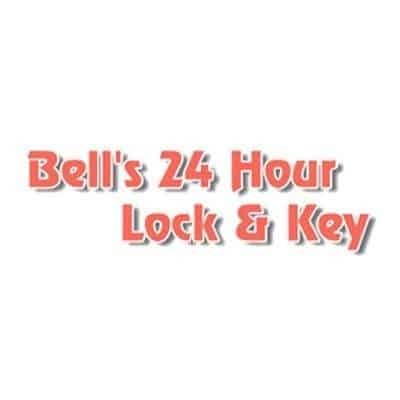 Whether you choose our products for your home or another company’s products, Bell’s 24 Hour Lock & Key offers rapid and courteous emergency solutions to Virginia Beach, including key duplication, lock rekeying, lock and safe repair, and safe combination changes on virtually every available model. With our experience, there is almost no home security problem we can’t solve at very affordable prices. Bell’s 24 Hour Lock & Key has become Virginia Beach’s premier provider of locksmithing services and security consulting for local businesses. We are fully qualified installers of many access control systems, such master key, electronic entry, keyless and card entry systems, push button locks, and commercial-grade deadbolts. And of course, Bell’s 24 Hour Lock & Key backs every sale and installation with uncompromising service for any system chosen to protect your business. As with our home services, Bell’s 24 Hour Lock & Key has an excellent selection of commercial safes for your business security needs. We can recommend, install, and service the best safes the industry has to offer, whether it be fire safes, gun safes, or specialty safes. Being a committed, professional locksmith, if Bell’s 24 Hour Lock & Key does not have the solution you require, we can offer security advice and consulting to make sure your business knows every option available. Bell’s 24 Hour Lock & Key is a local leader in replacing keys and key duplication for automobiles. Our unmatched experience can solve any automotive lockout crisis without delay. From standard keys to today’s high tech transponder keys, Bell’s 24 Hour Lock & Key is the first and only locksmith to call if you’ve lost your keys or simply locked them in your vehicle. We will get you back into your car or truck at affordable prices and replace/duplicate your keys on-the-spot if necessary. Give us a call today!